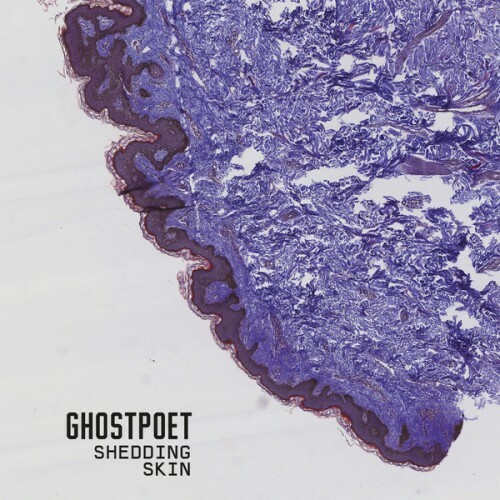 ‘Shedding Skin’ sees him map out his stories over an organic, live band canvas for the first time; in doing so, Ghostpoet has created a record that feels timeless in a way his scratchy bedroom productions could never have dreamed of. 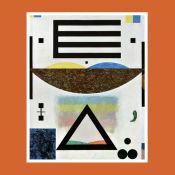 Shedding Skin might be the Ghostpoet album to begin with for those who prefer something a bit traditional, but with three excellent efforts from the get-go, the point isn't where to start, but to start, because the rewards are consistent and plentiful. Don't be surprised if Ghostpoet is on Mercury minds once more with this excellent effort. Beyond a few piano-led lulls, the new Radiohead-tinged direction sounds compelling and thoughtful. Shedding Skin really does feel like a rebirth, emerging from dark night of his previous work, albeit to a hazy dawn. Shedding Skin is a bold move for an artist so associated with a different sonic cadence, and kudos to Ejimiwe for trying to artistically reposition himself. The risk Ejimiwe takes in trading out drowsy electronica for driving drumbeats and serrated guitars is that his conversational tales no longer have an aura of shadow to hide their occasional lack of development. I wouldn't call this album hip hop, but it is a unique listen with elements from all over the place. Really cool. Purchasing Shedding Skin from Amazon helps support Album of the Year. Or consider a donation?